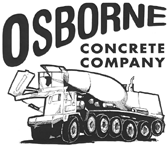 Based in Romulus, Michigan, Osborne Concrete Co. is more than a supply outlet for contractors; we also offer trucking services. 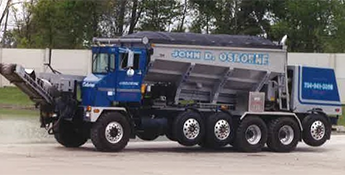 All trucking services through us are provided by John D. Osborne Trucking. We haul one yard to 50 tons, and also offer lowboy services for moving heavy equipment. There is even a Stone Slinger truck available for material placement in and around basements. Some common materials that we've hauled include topsoil, sand, gravel, and road salt. Contact us in Romulus, Michigan, to learn more about our helpful trucking services.